Every morning at sunrise, she would carry 5 empty jerrycans to the river, fill them up and walk back home. However, during dry season the river is completely dry with absolutely no water visible at the surface. Amina used little stones to clean the jerrycans before digging small holes into the dry river bed. Once she dug deep enough into the ground, the holes started to fill with water. 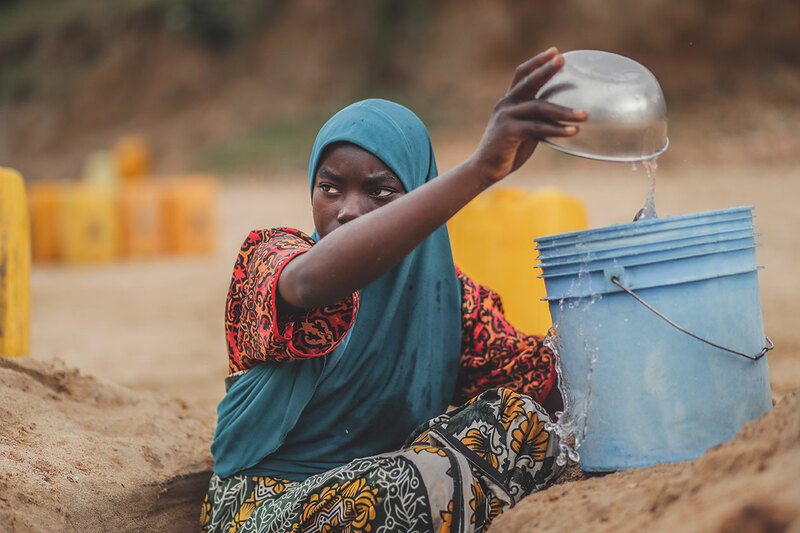 As she slowly began to scoop the water from the holes into the jerrycans, she must continue this process until all are sufficiently full. The entire process took her most of the day leaving her with no time to go to school. To support her family, Amina was forced to repeat this arduous process at least twice a day, everyday. Amina's story - and her barriers to opportunity are one example of many such recurring circumstances for women and girls in the region.